With the introduction of more technology over the past few years, it seems that our desks are becoming more cluttered than they have ever been. We simultaneously need smartwatch chargers, chargers for phones, tablets, and heck, maybe even a charger for Google Glass. The point is, it’s a messy situation. However, thanks to the introduction of a new desktop monitor from Samsung with built-in Qi Wireless Charging, you can begin to fight the clutter. The SE370 monitor comes in two sizes, 23.6″ and 27″, featuring one of the most readily available wireless charging standards available directly in its base. 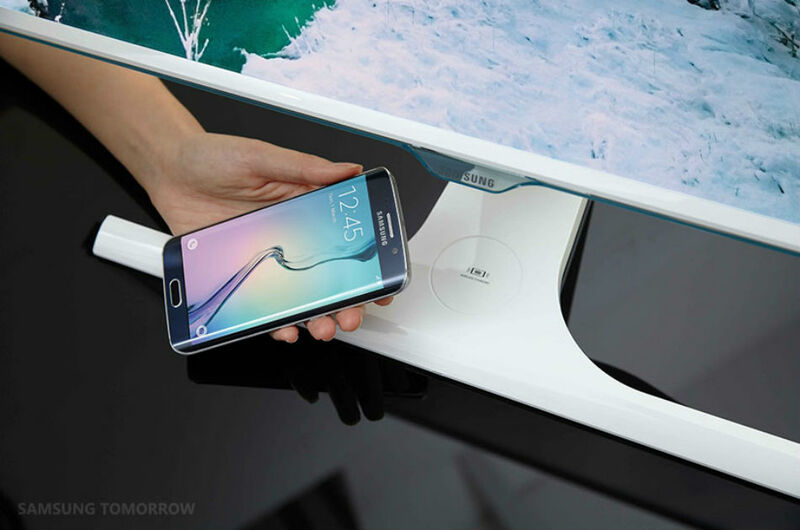 Naturally, if you own a Galaxy S6 or S6 Edge, charging your device via this desktop computer monitor will not be an issue. In terms of monitor specs, it does not sound like the most high-end of models, but does feature 4ms response time, a resolution of 1920×1080, 1000:1 contrast ratio, Windows 10 certification, and plenty of different preset modes for energy efficiency and more power-hungry game settings. Samsung has yet to provide final pricing or a release date, but does this concept interest you? It certainly is clever, if you ask us.